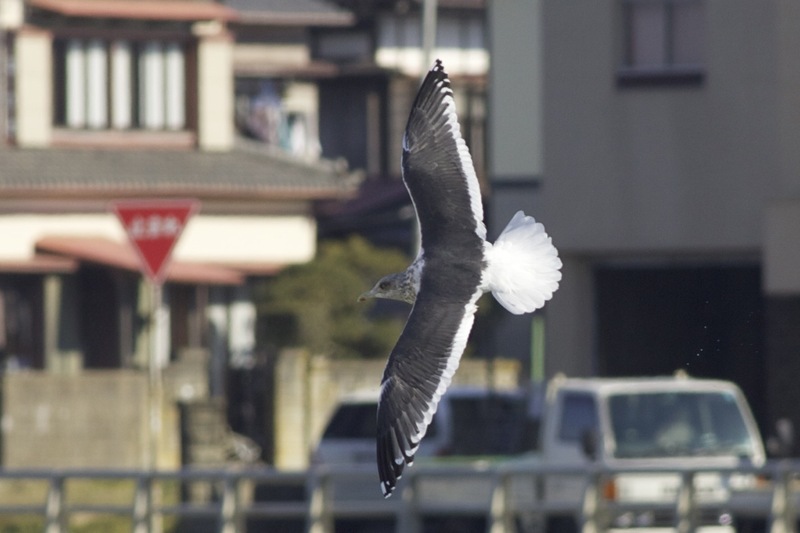 Slaty-backed Gull (schistisagus) adult, January 25 2011, Choshi, Japan. Picture: Terry Townshend. 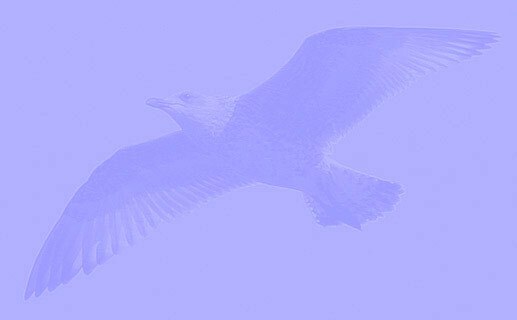 Please visit Terry's blog Birding Beijing! Note broad white trailing edge on secondaries. Mirror on P10 and small one on P9. Note string of pearls (white tongue tips) on outer primaries. Heavily marked head.